Paris, March 30, 2015 – Invectys announces today a fundraising of an additional 1.7M€ from its original group of private investors. It will accompany the biopharmaceutical company in its clinical trial of its therapeutic anti-cancer vaccine INVAC-1. 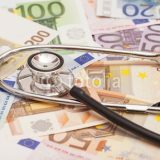 This new funding round completes a total of 10 million euros raised by Invectys with its original investors – family offices, business angels and private individuals who have supporting Invectys since its creation back in April 2010 and have remained committed to accelerating its development. At the same time, Invectys announces its move to new and larger premises within the Paris Santé Cochin Biopark in Paris’ 14th arrondissement. Invectys now has at its disposal around 400 m2 of labs for molecular and cellular biology, a P2 facility and offices permitting it to develop its in house products. Invectys has invested in new equipment allowing it to exploit the newest technologies in molecular biology and cellular immunology. The company has reinforced its team bringing it up to 17 strong with 13 devoted to research and development. “Strengthened by the new funding round, our new laboratories, equipment and new team members, Invectys starts 2015 with excellent prospects” says Dr. Pierre Langlade Demoyen, Invectys’ CEO, “The funds will serve to accelerate the clinical development of INVAC-1, our therapeutic vaccine that targets the telomerase enzyme that is massively expressed by almost all cancer cells and that plays an essential role in uncontrolled tumor proliferation. “This new funding round shows the renewed confidence of our original investors,” says Abderrahim Lachgar, Invectys’ Chief Operating Officer. “To be able to raise 10 million euros among the same group of investors is a superb story and shows their commitment to Invectys’ technology and products as we go in to our phase I clinical trial with confidence”. Invectys explores novel approaches aiming to mobilize and restore the anti-tumoral capacities of the cancer patient’s immune system. This new therapeutic vaccination strategy allows targeting any type of cancer. To do so Invectys focuses on a universal antigen, telomerase, which is absolutely crucial to cancer development.